Anonymous 100 CAD Way to go! Great initiative! Anonymous 100 CAD Great work Ben! Anonymous 250 CAD Great fundraising for a great cause! Darren Morgenstern 180 CAD Good luck! 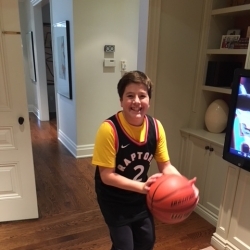 Howie Grossinger 100 CAD Mazel tov - Great Cause! Mrs. Debbie Savage 36 CAD Kol Ha'Kavod Ben! Deb & Darren Abrahams 100 CAD Mazel tov! Paul and Brenda Goldstein 100 CAD Wonderful fundraiser for Shalva. Hope you, Matt and Dad sink every shot. Great Bar Mitzvah project, Ben.